This media chest provides a great place for your master bedroom TV and electronics. Use the open compartments for your DVD player and other electronic components. The six drawers offer useful storage for clothing, your media collection, and other items. 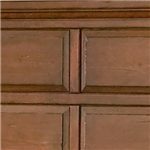 Carved details provide this chest with a traditional look with a hint of rustic country style. The Torreon Media Chest by Progressive Furniture at AHFA in the area. Product availability may vary. Contact us for the most current availability on this product. 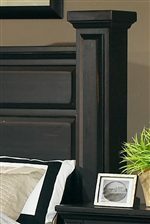 Drawer / Shelf Construction Drawer interiors are all wood with solid fronts. 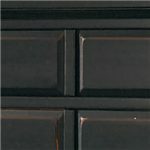 Drawer Suspension Drawer guides are metal Kenlin guides that provide positive stops and consistent drawer movement. Case Construction Solid Pine and Pine Veneers. Tops, fronts, rails, and structural components are solid pine. End panels are veneer. 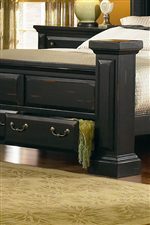 The Torreon collection is a great option if you are looking for Cottage furniture in the area.